Dr. Andriy Chetin is the founder of Medica Vita Wellness Center. He graduated from the Florida College of Integrative Medicine with Masters in Oriental Medicine. Prior to graduation from thereof, Dr. Andriy Chetin studied at UCF Biomedical Major. He is a licensed Massage Therapist and Registered Chiropractic Assistant in the State of Florida with more than 5 years of experience working at a rehabilitation facility specializing at therapeutic modalities and rehabilitation treatments after motor vehicle accidents. 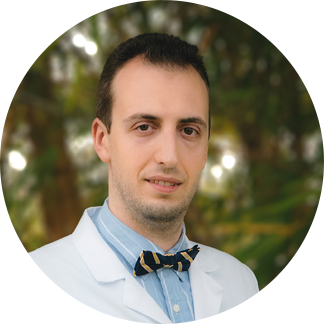 Dr. Andriy, Orlando Acupuncturist, is certified by the National Certification Commission for Acupuncture and Oriental Medicine (NCCAOM) as a diplomate in both Acupuncture and Chinese Herbology. Dr Andriy obtained his medical license from the State of Florida. Dr. Andriy completed an extensive training at musculoskeletal modalities such as deep tissue massage, lymphatic drainage, rehabilitation protocols for herniated discs conditions. He also successfully completed PNF trainings, Myofascial release Swedish Massage, Thai Yoga massage trainings and many others. Dr. Andriy’s expertise extends over Eastern modalities such as Acupuncture, Tui Na, Chinese Herbology, and for musculoskeletal issues.